Watch a video about fruit bats. Find out about the tube-lipped nectar bat ... and its long tongue! See some bats flying at night. Print out bat templates and make bat bunting. How do bats find their way in the dark? Where do they live and what do they eat? Beginner readers can find answers to these questions and more in this colourful information book. Illustrated with stunning photographs and illustrations accompanied by short, informative text developed with reading experts. 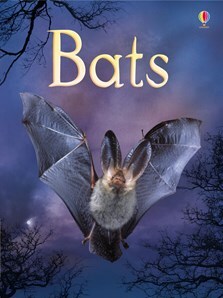 Includes carefully selected internet links to exciting websites about bats.